Weeks before an election to decide who will lead the country, Australia’s prime minister and opposition leader have gone head-to-head in a debate on issues such as housing affordability, penalty rates and marriage equality. ﻿However, Malcolm Turnbull and opposition leader Bill Shorten avoided conventional channels for their third verbal sparring, instead choosing to argue it out on Friday at the Facebook headquarters in Sydney. Political analyst Dr. Stewart Jackson was one of the 1.6 million people reported to have seen the debate in their Facebook newsfeed early evening Friday, with many more joining as it progressed. “I thought Shorten was a lot punchier. The format suited him,” the lecturer in politics at the University of Sydney told Anadolu Agency. Thousands of others agreed, the live audience voting the Labor Party leader a clear winner. The result contrasted with popular opinion that Turnbull knows how to play those using social media. Former Prime Minister Tony Abbott, who Turnbull dethroned as the leader of the Liberal Party in September and thus became prime minister, had dubbed him “the guy who invented the internet,” while in May, News Corp had reported Facebook data as revealing Turnbull to be the “most popular” political leader on social media. 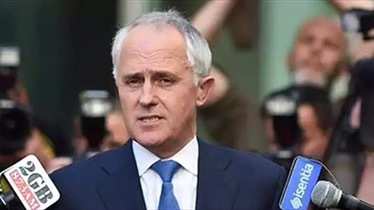 Friday’s debate, which was Turnbull’s choice, was heralded as Australia’s first online federal election leaders’ debate. Streamlined in real-time via Facebook live on news.com.au’s Facebook page, it started at 6.00 p.m. (0800GMT), when most people are heading home from work. News Corp reported that more than 4.2 million people saw the news.com.au Facebook posts inviting questions, and over 3000 questions were submitted before the debate began. The event was the party leaders’ final pre-election debate, with previous debates on television broadcaster Sky News drawing just 40,000 viewers, and on ABC attracting just 60,000. Both were judged to be dull and stage-managed — a reflection of voters’ attitudes towards the epic 55-day electoral campaign, which is about to enter its sixth week. The moderator of Friday’s debate, News Corp columnist and television co-host Joe Hildebrand, told Anadolu Agency that in contrast to what has been seen as a “boring” election campaign the Friday debate was designed to be “tough, direct, forthright, fearless and fun”. Political analyst Jackson, meanwhile, said the debate succeeded in managing to “fire up” the generally dull campaign. He said he thought that Shorten, in particular, capitalized on the “immediacy” of social media, in particular when he addressed Facebook users directly by asking them to respond to a question about the rolling out of the national internet broadband network by hitting “Like” if they prefer fiber to copper. The prime minister looked less than amused. Jackson thought that Shorten’s “feisty” and at times “aggressive” responses helped win over Facebook users. Halfway though the debate it was announced that the majority of Facebook users were “reacting” to both political leaders’ rhetoric with “angry” responses. A number of Facebook users commented on “buffering”, and opted to switch to television coverage. Turnbull and Shorten, who faced off in front of a real live studio audience of around 30 along with the online Australians, covered topics selected by Facebook users as well as issues Facebook data research identified as the most mentioned in relation to the election. The studio audience voted 17 to 7 in favor of Shorten. The result from online Facebook users, who were asked to vote by clicking “Like”, has yet to be revealed. Other topics discussed included climate change and education. The election will be held July 2. The first nationally televised debate was in 1984 between Prime Minister Bob Hawke and Liberal Leader Andrew Peacock. Little has changed since then regarding format and delivery, with the Facebook concept a massive departure from the traditional presentation.